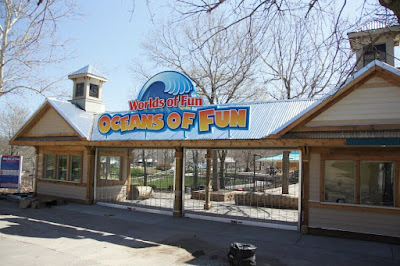 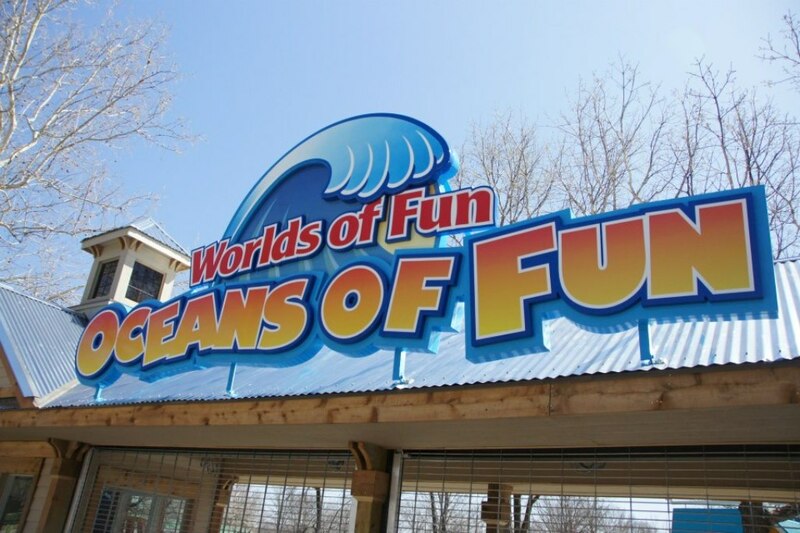 Time for another update from Oceans of Fun. 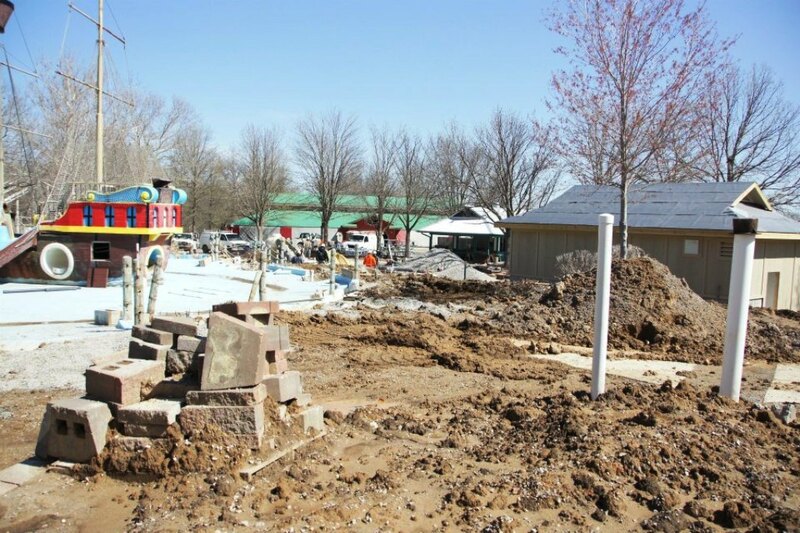 If you look closely, you'll see that the "closed" fence has been installed. 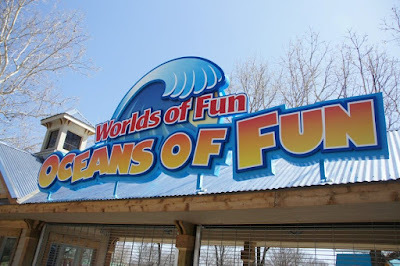 Seriously, I really like the new logo. 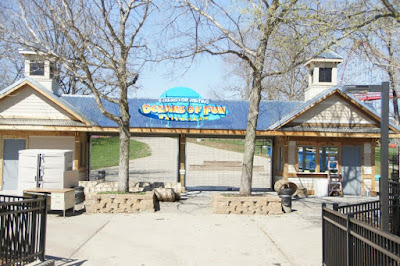 There is a "goodbye" sign on the back of the gate now. 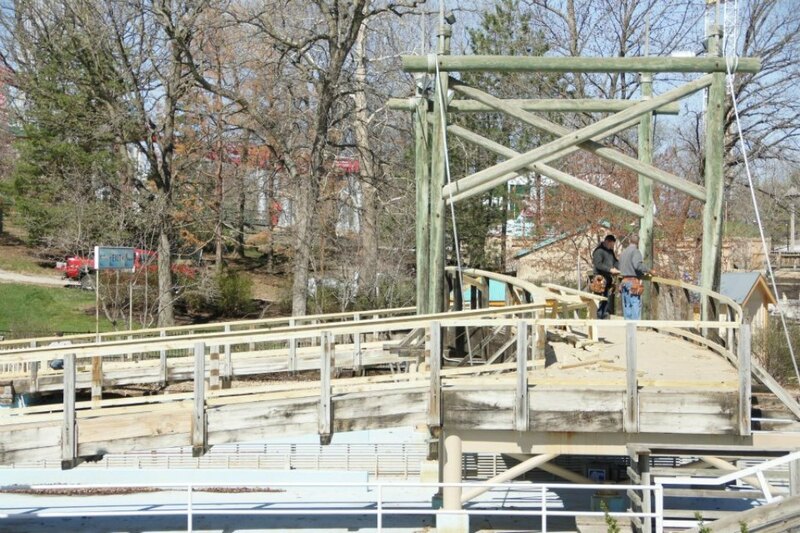 From up on Hurricane Falls, you can see that slide pieces are finally going up. 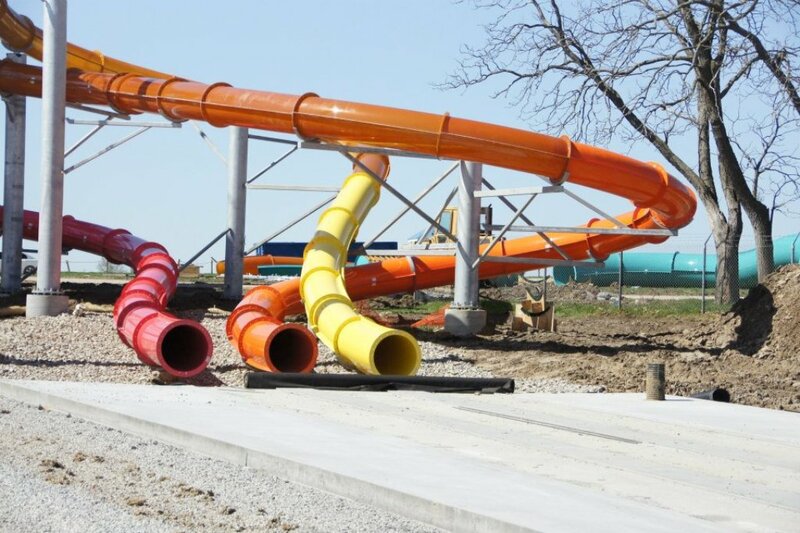 The body slides on the right and the tube slides on the left. 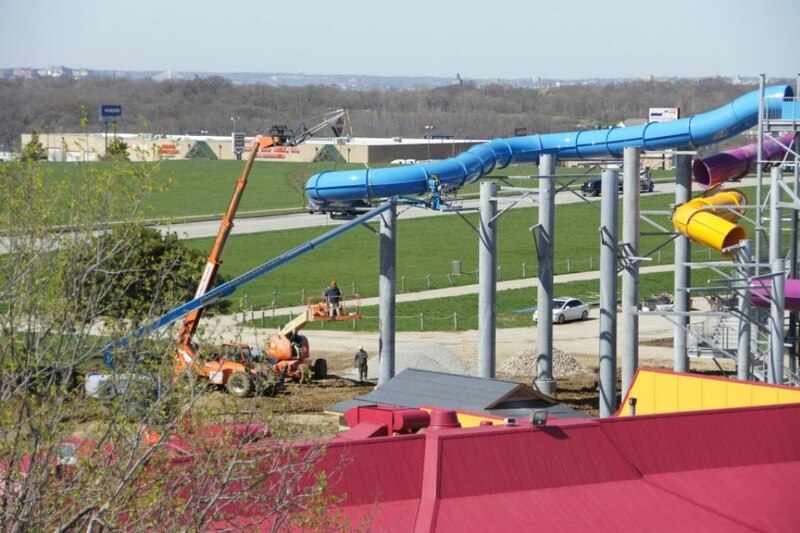 Once all of the pieces are in place, this is going to be a big knot of slides. 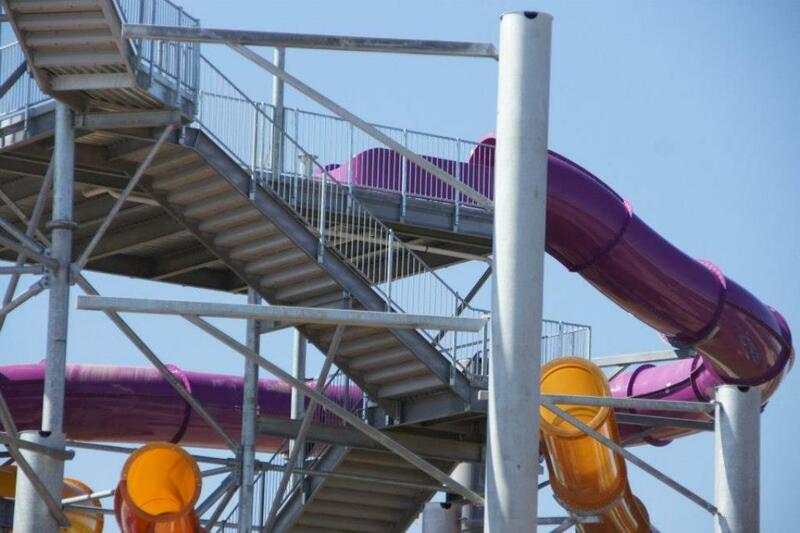 This purple slide is the Constrictor. 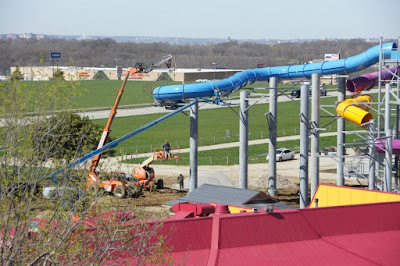 Work being done on one of the tube slides. 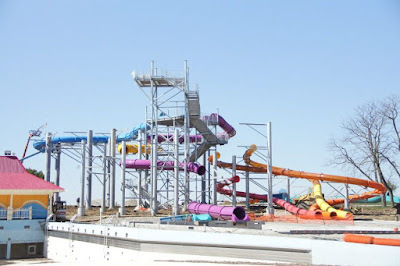 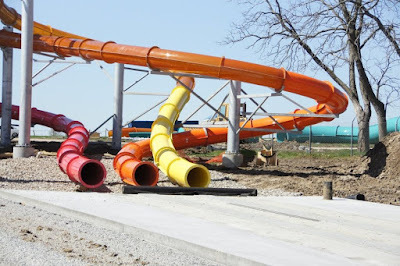 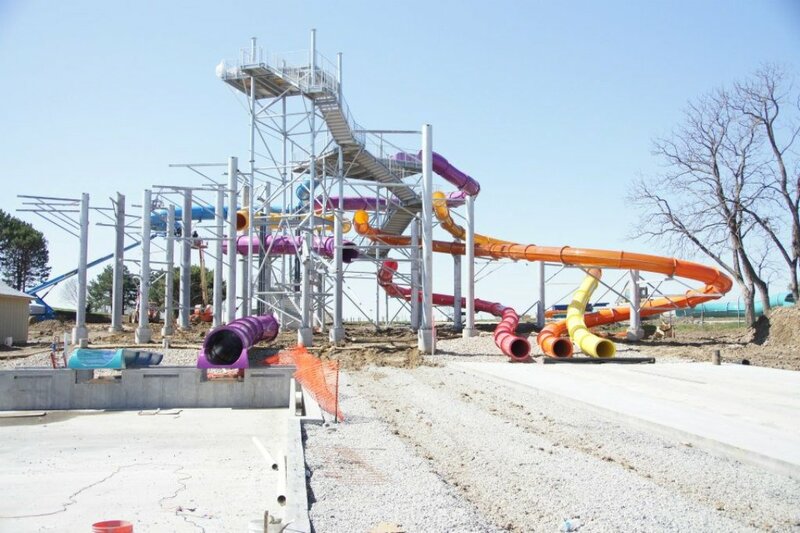 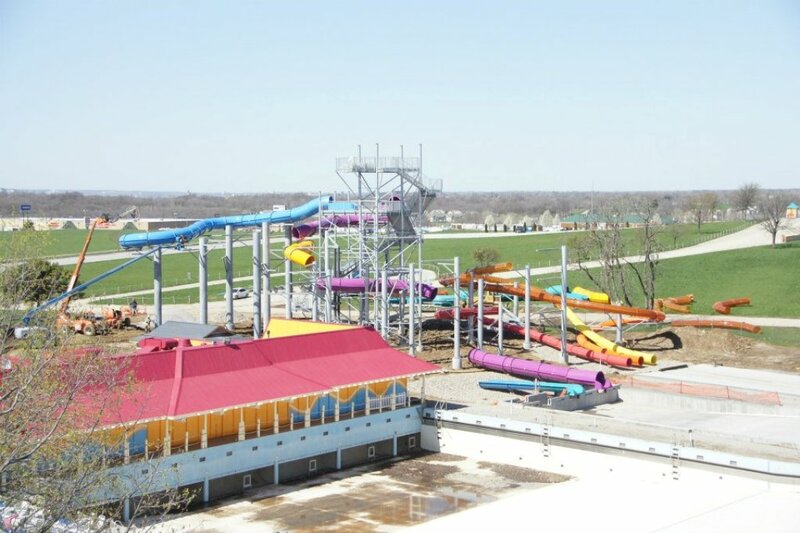 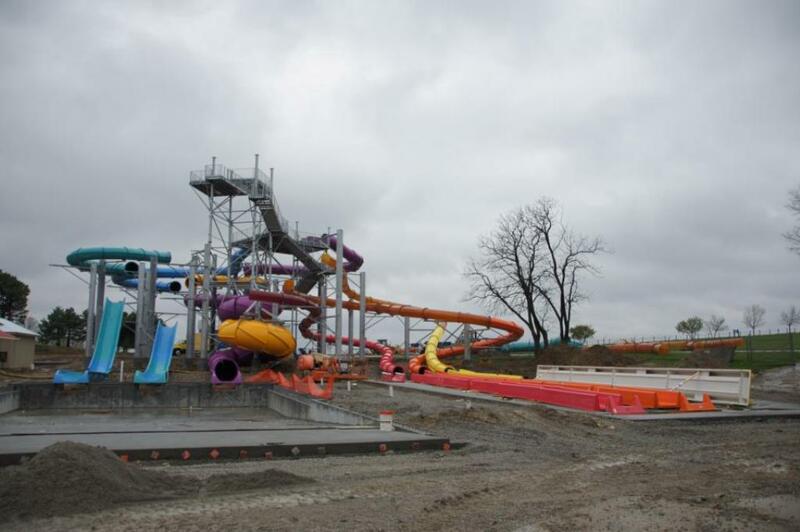 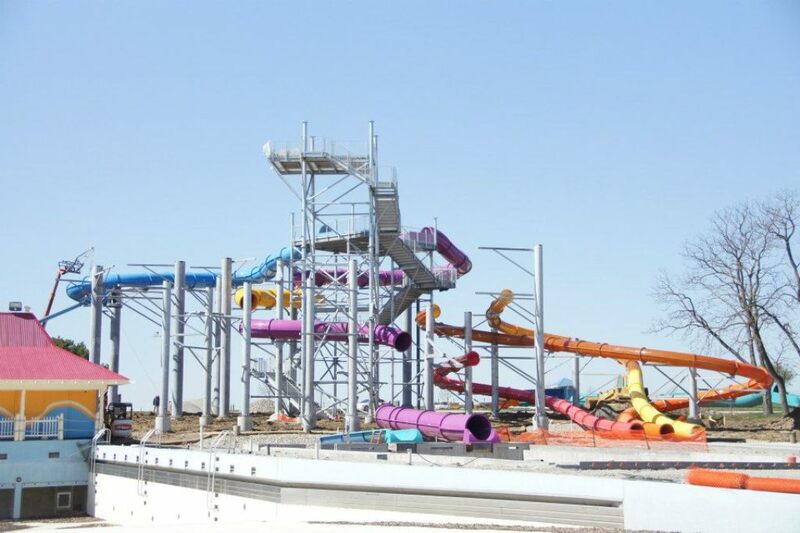 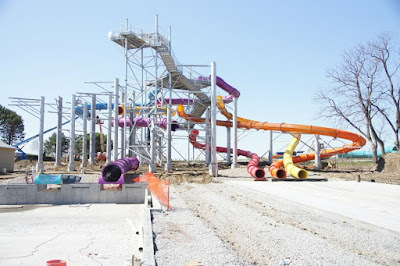 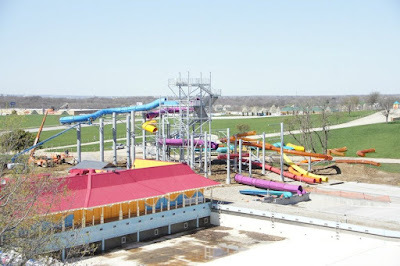 One of the tube slides will have a steep drop and the other will have a double down. 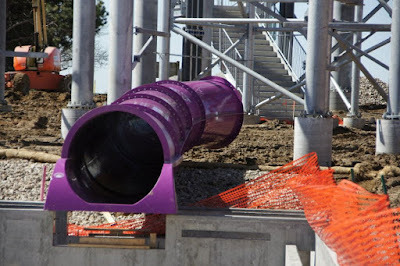 The exit of the Constrictor slide. 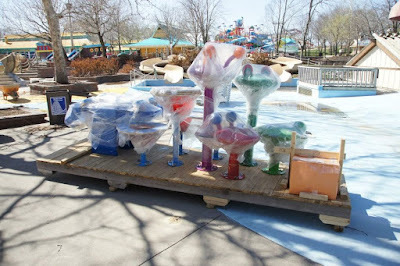 The body slides waiting on their runouts to be installed. 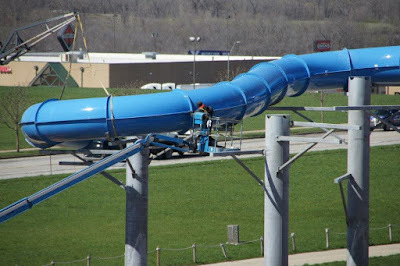 We checked back later in the day and the runouts had been placed as had the bottoms of the tube slides. 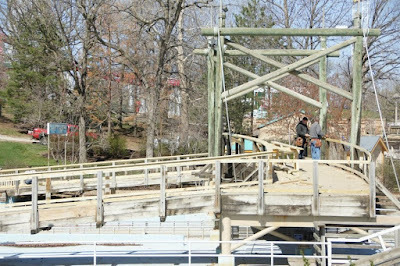 Monsoon is getting a new deck on the bridge. Work is continuing on the Captain Kidd's/Crocodile Isle area. 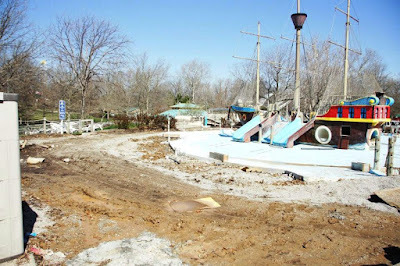 This is the upper pool area where the pirate ship is located. 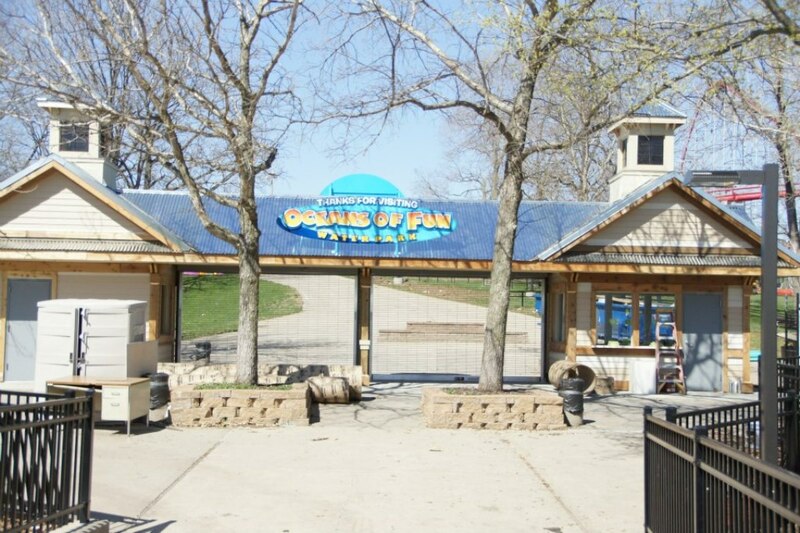 Finally, Crocodile Isle is getting some new features this year.